Zaoqiang Longtime is cooling tower spare parts manufature from material to finish product. 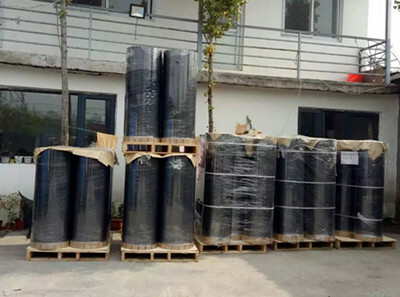 our material is pvc sheet and pp sheet.and our main product is pvc fill for different cooling tower. Pvc (Polyvinyl Chloride) sheet for cooling tower pvc fill, using good raw material, under high temperature, produce no-poisonous, tasteless, inclusion-free packaging sheet, contains to plasticizer composition, after inspection in according with the our country standard,.Have high transparency and high gloss, easy to machine shaping,has good strength and excellent secondary processing and other features. We can offer to you thickness 0.2-1.0mm, Width<2000mm pvc sheet, and we can produce natural color transparency sheet, blue light transparency sheet, color sheet, gold and silver sheet and other sheet according to your requirements, or we can processing using your material.